Bob Hales of the renowned family from Knocknacurra which is a townland just outside of Bandon was a prolific middle and long distance runner. 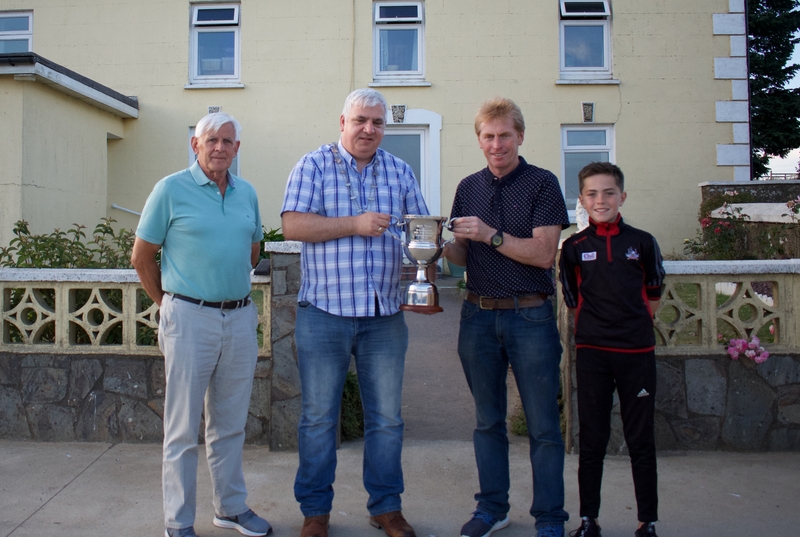 From an area that produced a number of top class athletes not alone Bob but his brother Sean and in subsequent years Patsy O’Flynn to be followed by Bill Nolan. All of whom lived within a couple hundred metres of one another. Each of whom were of Olympic standard. Hales been selected for the 1912 Stockholm games, O’Flynn competing as part of the USA team of 1920 in the steeplechase where he finished runner-up and Nolan been unlucky not to have been selected for the 1 mile in 1932 having sustained an injury during a run-off for selection. Bob’s early career saw him become GAA 880 yards and 1 mile champion in 1911 and the following year became the IAAA 1 mile champion and was runner-up in the 4 mile event. He was also selected to compete internationally that year and set an Irish record for the mile in Scotland. In 1913 he departed for the United States to earn his fortune on the running circuit and he set a new Irish record for the 2mile event in Celtic Park in New York. The outbreak of the Great War put an end to that however, there being far less races above all else far less competitors so the money was not there to be won. He returned home to Ireland to resume his running career, which he did successfully until the follow on from the Easter Rising and the subsequent War of Independence saw a different race been run with him and his fellow family members to the forefront in securing independence. The family farm was their training ground with its own track and underlay with cinders from the local railway station and gas works. The field in question even to the present day is known as ‘The Free State Field’. At the end of his running career Bob became a respected coach to many a subsequent athlete. 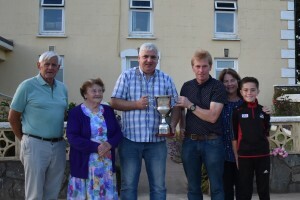 The Hales family have kindly donated a perpetual trophy for the sports in Bob’s memory and the “Bob Hales Perpetual Trophy” will be contested for in the 1 mile open event. The club are indeed grateful to the family for donating this. Catherine was a member of Bandon AC almost all her life, competing proudly and successfully for many years before moving into a coaching role where her true talents shone. Catherine coached many athletes who wore the green of Ireland on the Home, European or World scene but also got great satisfaction when a young athlete won their first medal at local level. Her encouragement to all no matter of their ability was always to the fore and her patience and tolerance knew no bounds. Known far and wide as the face of Bandon AC she was well known for encouraging athletes from all clubs. Catherine officially filled the role of Head Coach but in reality was involved in every aspect of the club as well as being a friend and confidante to athletes and coaches alike. Catherine was a very competitive person, but always with a smile on her face. One day really stands out for me personally, the County Masters Track & Field in 2016, when a number of us, (most of whom really should have known better) turned out in the Bandon colours in an attempt to help the club win the O’Duffy cup for the Best Overall Club in Cork. 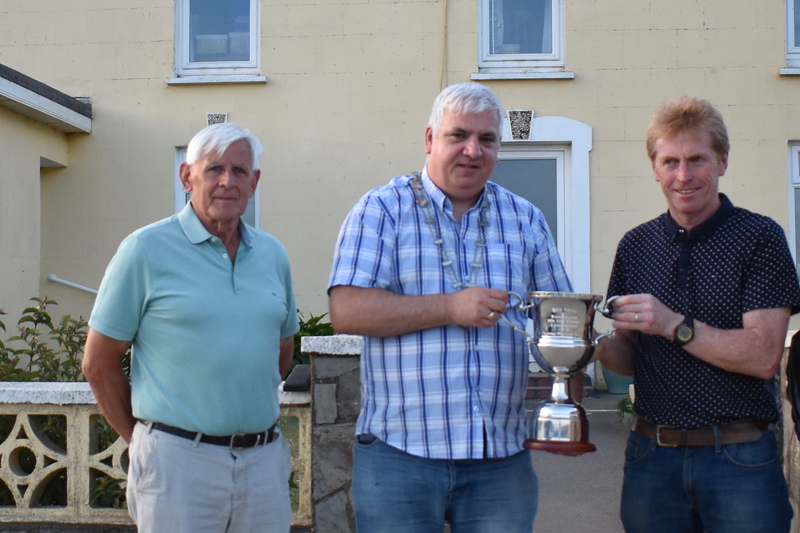 Many medals were won that day and the O’Duffy cup did find its way to Bandon. Along with the medals won there was much laughter shared that day among us so called athletes and I believe that day sums up Catherine well, do the best you can and walk away with a smile. 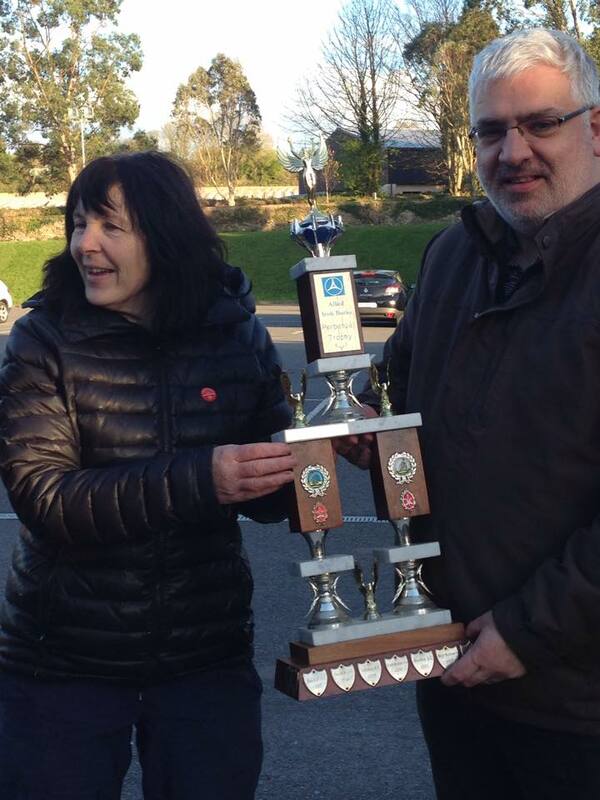 The winner of the Women’s 800m race on the 26th will be presented with the “Catherine Duggan Perpetual Trophy”. 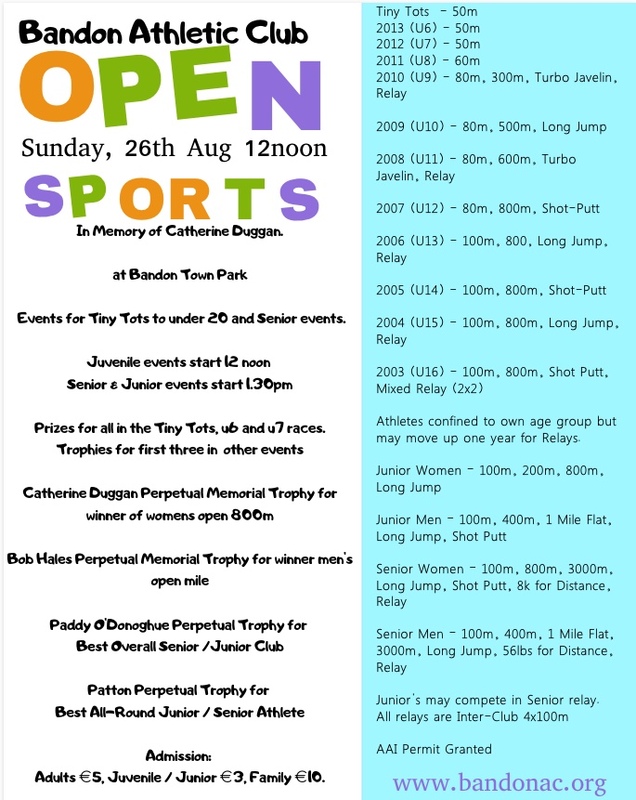 Bandon AC hope that we have a good turnout of athletes near and far, past, present and future to celebrate the day and leave with plenty of smiles. 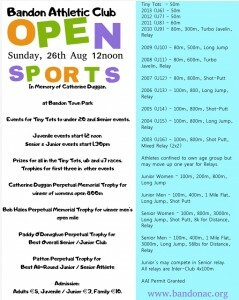 Bandon AC Open Sports on Sunday 26th Aug in the Town Park, Bandon. In memory of Catherine Duggan. As well as a comprehensive program of events from Tiny Tots right up to senior, there will also be a number of perpetual trophies awarded. The Catherine Duggan Memorial Perpetual Trophy will be presented to the winner of the Women’s 800m. The Bob Hales Memorial Perpetual Trophy will be presented to the winner of the Men’s Mile. Patton Perpetual Trophy for the Best Overall Junior / Senior athlete. 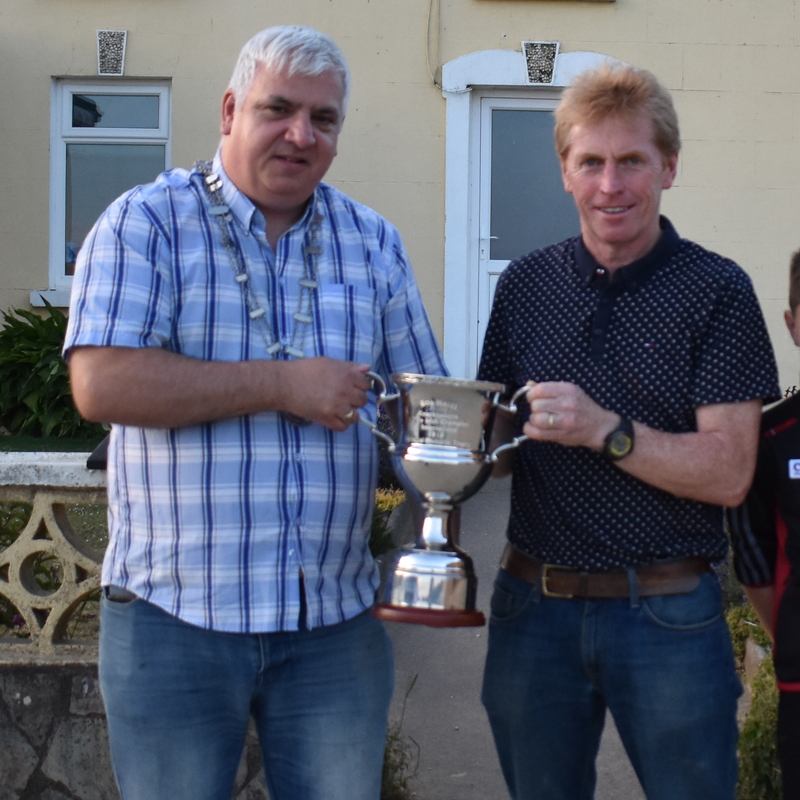 Paddy O’Donoghue Perpetual Trophy for the Best Overall Senior / Junior Club. Events get underway at 12pm with the Juvenile events and the Senior/Junior events start at 1:30pm. 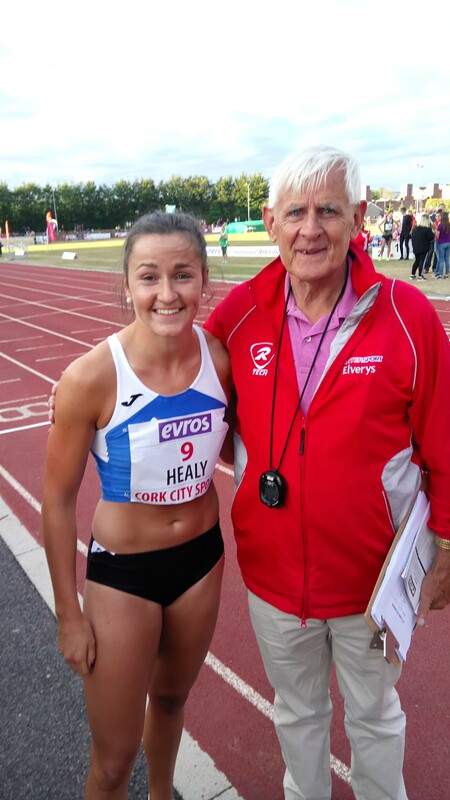 Phil and Joan Healy’s places in the Irish team going to the European Athletic Championships in Berlin next month have been confirmed . 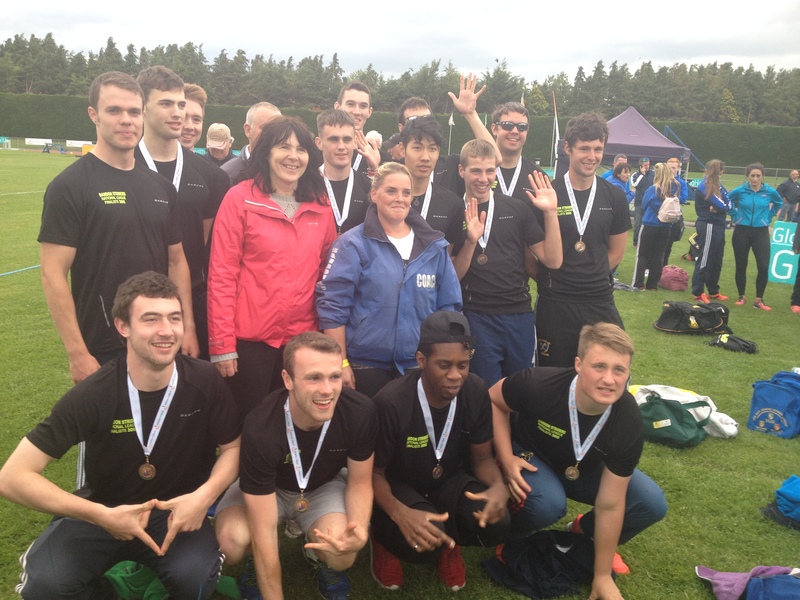 This follows their performances in last weekends National Track and Field championships in Dublin. Phil placed first in the 200m. Joan placed second in 100m with the same time as the winner. Phil will represent Ireland in 100m, 200m and 4 x 100m relay respectively . Joan will be in the 4 x 100m squad also. Other medalists were Laura McSweeney who won bronze in a new event, 28 lb weight for distance. Shane Howard won bronze in the long jump. Roisin Howard placed third for bronze in the shot putt. Notably, other athletes who excelled but were just narrowly outside the medals were Diarmuid O’Connor who placed 5 th in his heat of 400m hurdles. This was Diarmuids first time competing in the National Seniors competition. Scott Gibson placed third in his 200m heat, narrowly missing out on a place in final. Overall, as you can see it was a fantastic weekend for Bandon Athletic Club, winning FIVE national medals. Excellent performances and priceless experience was gained. Congratulations to you all and gratitude to your Coaches. 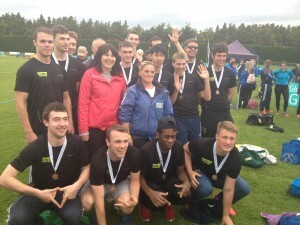 The Irish Life Health National Juveniles were held in Tullamore, Offaly last weekend. Results from Day 1 and 2 as follows; under 13 Aoife Tuthill placed 8 th in javelin. Under 15; Jack Cullen placed first for gold in javelin. Under 16; Nicola Tuthill won gold in the hammer and finished 4 th in 3000m race. Under 17; Lauren Mc Court placed 2nd for silver in 400m sprint, and placed 7 th in 100m final. Gavin Kenny was 1st in 2000m steeplechase receiving gold. Fionn Harrington was 3rd in 2000m steeplechase to receive bronze. Tristan Chambers was 6 th in 100m hurdles and 8 th in high jump. Dylan Chambers was 8 th in triple jump and 5 th in javelin. Under 19; Naoise O’Flaitheartaigh placed 7 th in the 3000m final. Laura Nicholson was 1st place for gold in the 3000m race. 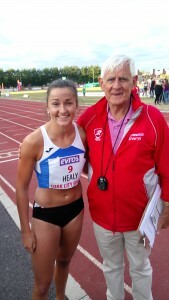 Phil Healy has set a new 200m Irish National record at Cork City Sports- International Athletics. Phil placed 3rd in the race in a time of 22.99 seconds, making her the first Irish Woman to run a sub-23 second 200m. She also competed in the 100m sprint, finishing 2nd with a time of 11.30 seconds. 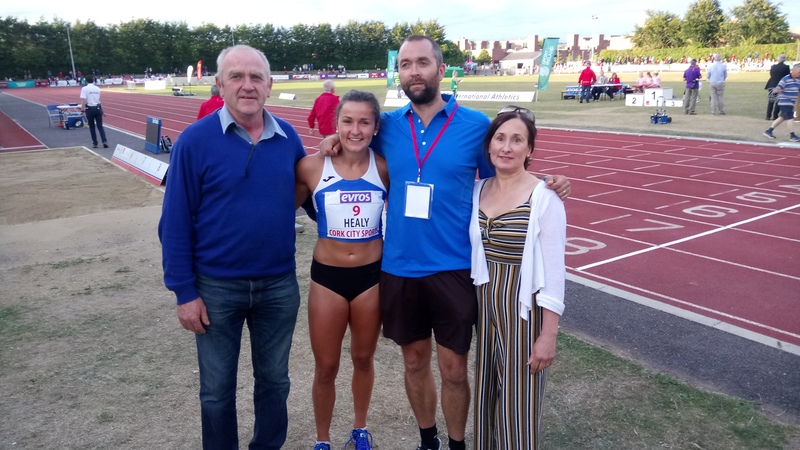 To set an Irish Senior record in athletics is a major achievement known to a very small number of athletes each year, so when Phil Healy set a new record in the 100m in June it was a major achievement. However to set a new record in the 200m last Monday night was in lots of ways even more special and unique. To hold the 100m and 200m national records is a rare feat in itself, but what makes the 200m record so special was that it was done in the CIT Track. This was the same track where Phil first wore the Bandon AC colours in the West Cork Championships and the County Juveniles a decade or so ago. So to now compete against a top class international line up as the fastest Irish woman over 100m and 200m is an incredible journey and on hand on Monday night to witness this as well as numerous members of Bandon AC were Phil’s parents, her coach Shane plus Bandon AC president and one of the founders of the club, Billy Good. 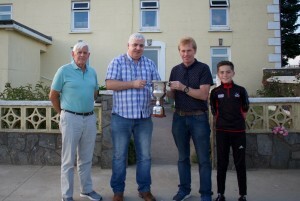 Clonakilty Roadrunners AC hosts the final leg of the West Cork summer leagues at the Rugby Club Clonakilty on Wednesday July 18th. 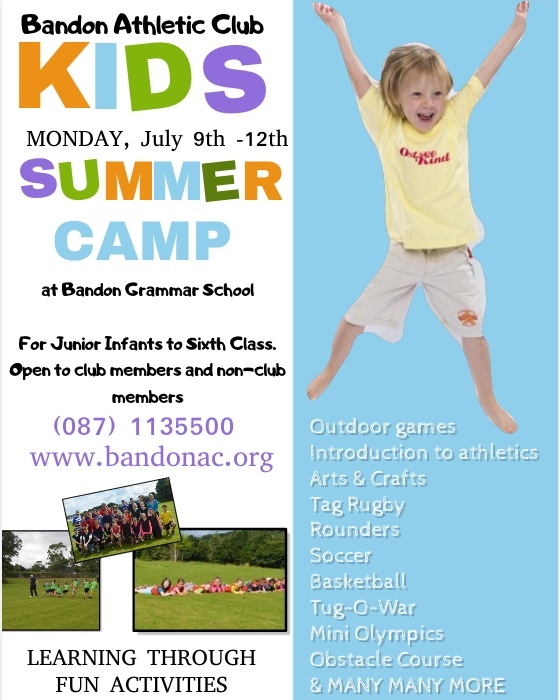 Usual venue of Bandon Grammar School, which provides indoor options if the event of bad weather. Form is available below. Please see coaches or committee members for any further info. Places are only reserved on completion of the form and payment of the correct monies. 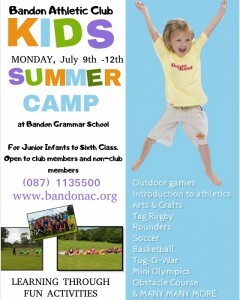 Camp is open to members and non-members. Under 15; Jack Cullen received gold for both javelin and triple jump. He placed 2nd in 250m hurdles. Max Hallahan secured gold in javelin. Ruairi Harrington placed 3rd for bronze in javelin. Jane Buckley ran in the 800m and placed in third position for bronze. 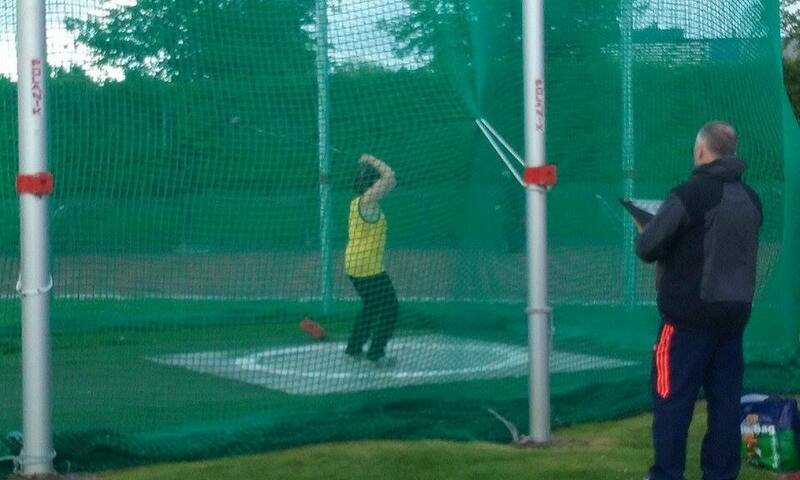 Nicola Tuthill placed first for gold in Hammer throw. Entering the javelin and the hammer throw competition’s, Niamh Sugrue received gold and bronze respectively. Lauren McCourt placed 1st in 100m dash and 200m dash . Lauren placed 2nd in 400m also. Tristan Chambers placed 2nd in high jump and 300m hurdles. In the 100m hurdles he secured third place for bronze. Dylan Chambers placed in third position for bronze in the javelin. Diarmuid O’Connor received gold in 300m hurdles, silver in 100m hurdles and bronze in shot. Athlete Thomas Gale was third for bronze in 400m race. In the under 19 category, long distance runner, Naoise O’Flaitheartaigh medalled the bronze in the 1500m race. 4 x 100m relays. Under 18 boys medalled the silver in their relay. Many thanks to the coaches and parents who traveled to Waterford. 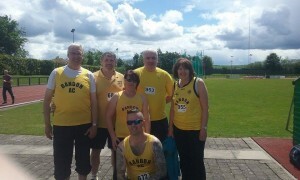 Also the athletes who competed proudly for Bandon Athletic Club, thank you.